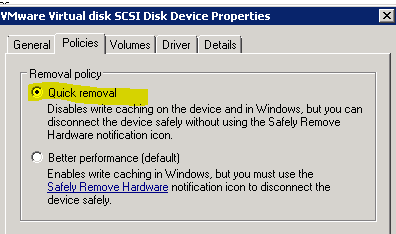 · You must disable the write cache for all components that use Extensible Storage Engine (ESE) as their database format. These components include Active Directory, the File Replication Service (FRS), Windows Internet Name Service (WINS), and Dynamic Host Configuration Protocol (DHCP). · As a best practice, consider installing uninterruptable power supplies on VM hosts. 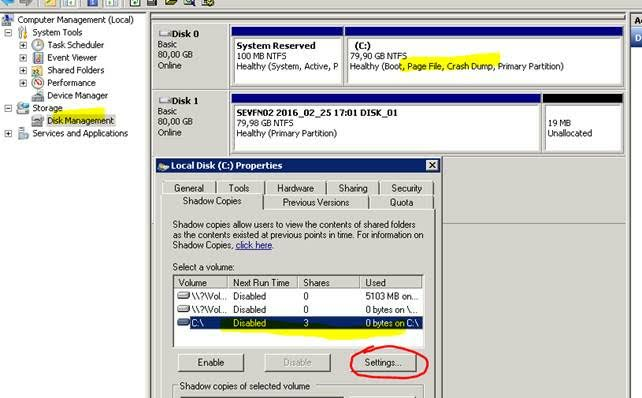 The destination volume for the backup must be on a separate hard disk from the source volumes. 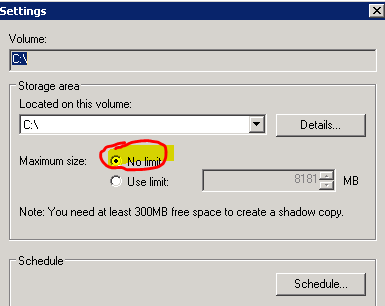 You cannot perform a scheduled backup to a network shared folder. The external storage device for the backup must be connected to the domain controller that you are backing up. Membership in Builtin Administrators, or equivalent, is the minimum required to complete these procedures. Review details about using the appropriate accounts and group memberships at Local and Domain Default Groups (http://go.microsoft.com/fwlink/?LinkId=83477).